That huge movement of "Jamaican Soul" as the artiste puts it is enjoying one of its best resurgences yet, especially out of UK, where in fact, it never fell out of favour. Its a favourable bellwether for John - and for Jamaican music as a whole - as he gets set to release his latest album this July. The disc is titled "From Letters to Words". The title, he explains, speaks to progressions, both personal and musical, which he felt were important to mark and to explore. "Presently, in the "words stage" of my life - not just in terms of career. have to have something to say." And, in a falsetto as wiry and agile as his frame, the singer makes some eloquent statements, ten tracks in total, including a cover of the Chi-Lites' "Have You Seen Her" as well current singles "So Beautiful" and the "Its Gonna Be Alright" the latter an alternately smooth and spiky folky kind of song for which a video is already in rotation. John lists it as one of his favourites from the collection. "Its Gonna Be Alright" also speaks to his overall outlook for the music, provided of course, that certain benchmarks of quality can be revisited and maintained. "There's vast wealth out there," he states in defiance of the "recession rhetoric" that plagues many. "And even when times are hard, that's when people seek out and try to discover new music. 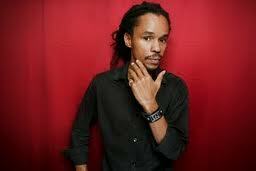 We as Jamaican artistes need to look at the product rather than blame the economy." John, who controls the sale of his music online, as well as his own publishing adds that he has sold more records online than he saw on any physical statement from a record company. Its not meant as a boast, but it is a validation of his decision to hold to the high road and not jump into any limiting deals or to compromise his independence and artistic integrity. "Reggae and the Jamaican sound is still hugely powerful. I decided not to do the "quick cash" thing or sell out in any way. Thankfully, because of the technology, I've been able to link with great people around the world, and they have been finding me." Indeed, they have been finding him from such disparate locations as Papua New Guinea, Russia, Kenya, Ghana, Gambia, Uganda and Tanzania and also Hong Kong and other parts of Asia. he has a fall schedule of tours to connect live with fans, beginning with the September and then Europe and possibly other locales later in the year. 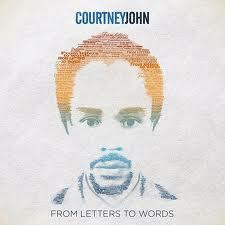 And with Jamaica 50 excitement (and controversy) high, Courtney John has crafted his own tribute record, just widely released. It features, among others Marcia Griffiths and Beenie Man. The feedback, he says, is overwhelmingly positive. Beyond that, he's working on another full-length disc, this one titled "The Courtney John Project", which he describes as "roots-tronic" a moniker which certainly holds some intrigue. It puts him alongside noted "riddimeister" Lenky Marsden and other top-notch creators in a decidedly "experimental" mode. Its a posture he'd like to see - and hear - more Jamaican artists and producers adopt. "There's no one fighting down our music in the major markets as some people state and would have us believe. Its just that as a product the sound has become stagnant, its locked in to something that is obviously not working and not really in demand. So guys just have to really look into themselves and come up with a viable sound. Not saying that youth today should necessarily look to produce the same sound as we had in the 70s, but to take the principles the professionalism that Bob and the others upheld and build on it."